Last week was super exciting for all of us at Vue.ai. We had a great couple of days at eTail Asia, one of the largest ecommerce and digital marketing conferences for leading Asian retail innovators. We interacted with some of Asia’s biggest fashion brands, inspiring leaders in retail, got amazing insights about the Asian retail market and met some wonderful people that we want to build long-term relationships with. Day 1 at eTail Asia started with an insightful opening keynote by Rex Cheuk, Head of Tmall group, Hong Kong who gave us a sneak peek into the opportunities at China and the incredible growth prospects. He also emphasized on the role data plays in retail strategy. The powerhouse panel with Under Armour, TopHatter, Moleskine and Canali spoke about the key differentiators of their business – for some, price ranked above value and ability and for others, it was the other end of the spectrum with the value being the standout factor. We hosted an incredibly enlightening session on ‘THE AI PROMISE: How AI and Computer Vision are trailblazing new paths for the retail sector’ with Marita Abraham of Zilingo and Anandamoy Roychowdhary, Director of Technology, Sequoia Capital. Our session focused on how retailers around the world can harness the power of retail automation to boost revenues and retain customers. We have tons of insight from our session and the various talks we attended at the event. Take a look! Our Senior Vice President Patrick Giusti moderated a panel around the AI promise and how Zilingo sees AI as a game changer for their business and why Sequoia believes AI has a huge role on in the future of retail. About 74% of customers’ shopping habits are influenced by social media and about 55% also depend on online reviews to make their decisions. Trends are constantly changing and are independent of traditional methods of measuring trends. 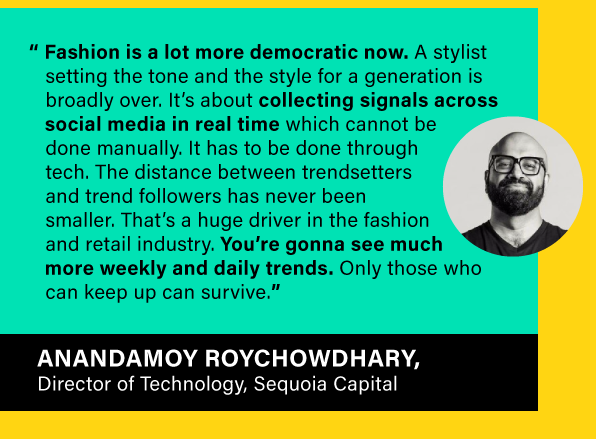 In the Instagram era with game-changing technology and better accessibility, influencers and fashion bloggers set the trends as they relate to people better compared to a runway model. Anandamoy Roychowdhary shared some of his thoughts on this phenomenon. 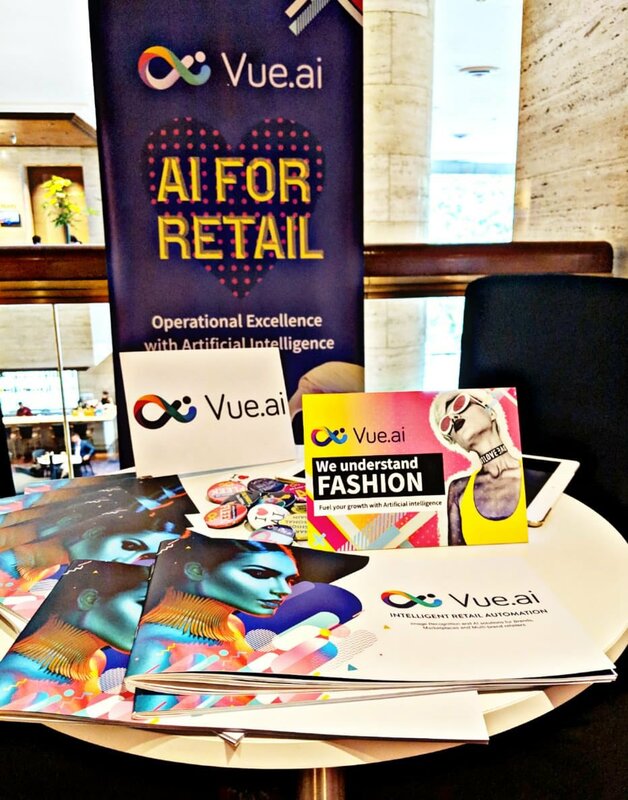 Did you know that over 75% of fashion retailers plan to invest in AI in 2018 and 2019? Forecasting trends is becoming increasingly critical in the era of hyper-adoption and hyper-abandonment. Bringing in new customers to the door is the goal of every ecommerce business and retaining them is essential for long term success. Artificial Intelligence can particularly help with personalisation and omnichannel experience for brands to create an outstanding online brand presence. 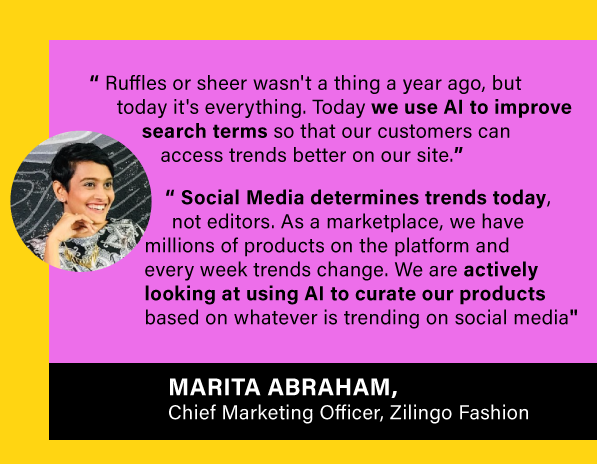 Marita Abraham, CMO at Zilingo, gave us an example of how forecasting can be done with AI to provide better customer experience. Ecommerce brands cannot solely depend on their online presence nowadays. Experiential stores are slowly becoming the stores of the future and several brands, after the retail apocalypse are picking up and understanding that experience is everything. Pure play online retailers are expanding to brick and mortar spaces, while physical stores believe that an e-commerce presence is equally necessary in reaching their shoppers. On our #VueRetailExperiences series on Instagram, we talked about Nordstrom Local, a pick-up only store for shoppers to speed up their experience and make it more convenient. Personalisation is key when it comes to online shopping and brands need to be more fastidious about understanding customer preferences and needs. Predicting what customers want goes way beyond just tracking runway trends and bestsellers. We also attended several other insightful sessions at the event. 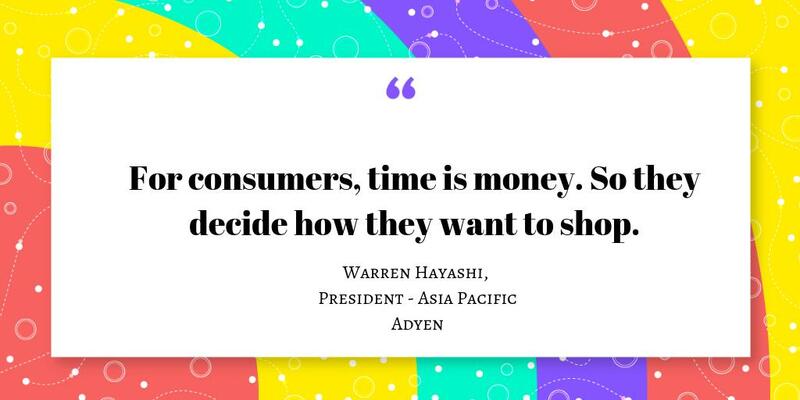 One of our favourite talks, “How to succeed as an eCommerce brand in an era of dominant e-tailers”, had some eye-opening insights from Warren Hayashi – President of Ayden (Asia Pacific), Roger Yuen – Founder and CEO of Clozette, Arun Kumar – Head of Digital Marketing at Carousell, Charmaine Chua – Head of Product at Love, Bonito, Wook Kwon – Regional Head of e-commerce at Levi Strauss & Co and Candice Ong – Chief Commercial Officer at ShopBack. There’s product, there’s the business model – but to be able to stay ahead of the curve and continue to see success at scale, brands are betting on new technology to do the job. More importantly, the fashion influencer community is growing by the day and social media buzz is accompanied with a lot of irrelevant noise and similar content. Consumers lose interest when they spend a lot of time online and not find what they are looking for or find clones of the same outfit. 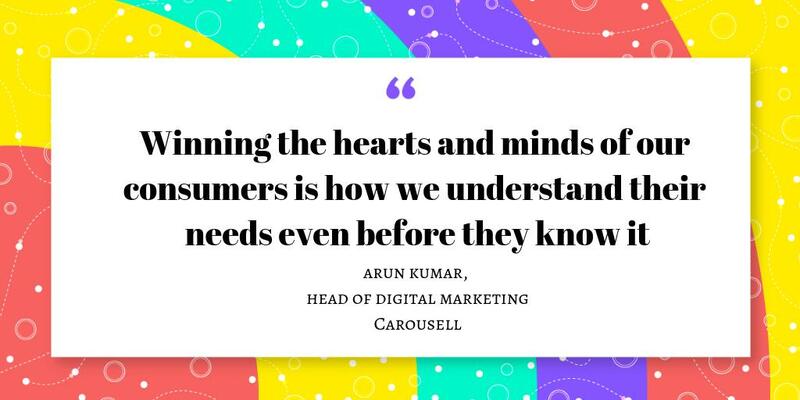 Personalised curations are becoming the norm and brands need to figure out how to deliver content in a way that’s engaging and exciting to their consumers. 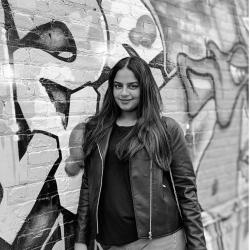 “In an industry where there’s so much noise you have to find a differentiator” – Sree Menon of tophatter talks about the importance of standing out for ecommerce platforms. Customer Experience is a hard nut to crack and Avis Easteal of LuxAsia, Poonpat Wattanavinit of aCommerce and Mahip Dwivedi of Flipkart gave us some excellent insights on perfecting the customer journey. How many promotional emails do we actually read or even pay attention to skim through it? This practice can drastically change when you let the customer know that they actually matter. Rather than sending generic emails that either go to spam or the trash, there’s a better way to get the attention of the consumer. By implementing personalised emails, brands can peek the interest of their target audience with relevant content. 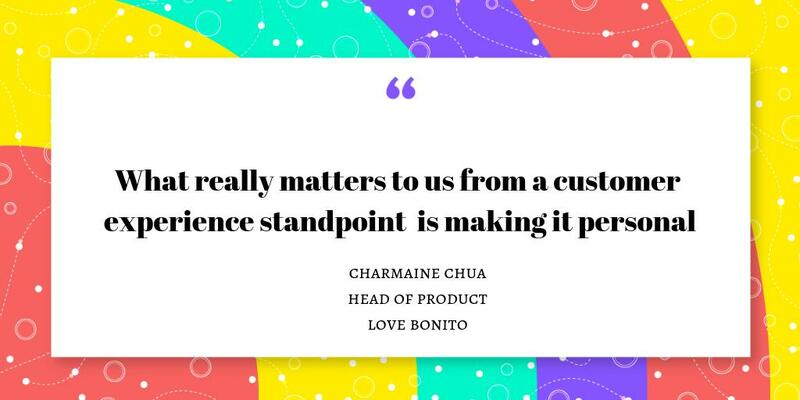 “We spend a lot of time listening to our customers and prioritise the feedback,” says Charmaine Chua of LoveBonito. LoveBonito uses customer feedback to design better customer experiences. A lot of emphasis is placed on making the experience personal for each customer. Candice Ong of ShopBack also points out the importance of human touch in digital platforms. Online businesses have to be in constant touch with their customers to better understand their likes and dislikes. “Losing human touch is not a good long term strategy. Taking care of advocates is very important. One area where we try to invest in is community engagement. Talking to customers face-to-face and understanding them is key.” Candice ONG Chief Commercial Officer, Shop Back. 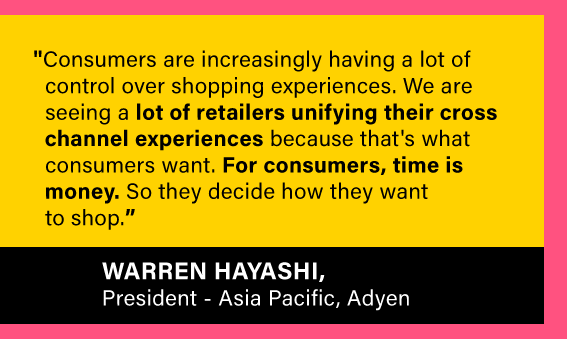 The eTail Asia 2019 experience was nothing short of amazing. We had a star-studded panel featuring Marita Abraham, CMO of ZIlingo, Anandamoy Roychowdhary, CTO of Sequoia Capital and Patrick Giusti, SVP of Vue.ai moderating the panel. eTail Asia was an incredible learning experience for us – whether it was understanding how brands in Asia are focused on customer experience, how they’re strategizing and tackling ecommerce competition, how they’re integrating new technology and solutions and create an exciting interactive digital and physical experiences – it was amazing and we hope to be back at the event next year! 4What Is Automated Fashion Product Tagging?